The mid-engined Chevrolet Corvette. It is as mythical and fleeting as a unicorn, or the new Frank Ocean album. For decades now—literally decades—General Motors has flirted with a mid-engined ‘Vette that could really take the fight to European exotics. It has never happened. So why is GM now spending $290 million to upgrade the Bowling Green, Kentucky plant where the Corvette is built? This, naturally, leads to speculation that the upgrades could be for a final-form Corvette with its engine in the middle of the car for proper weight distribution and the humiliation of Ferraris and Lamborghinis—not to mention the Ford GT that just won its class at Le Mans. 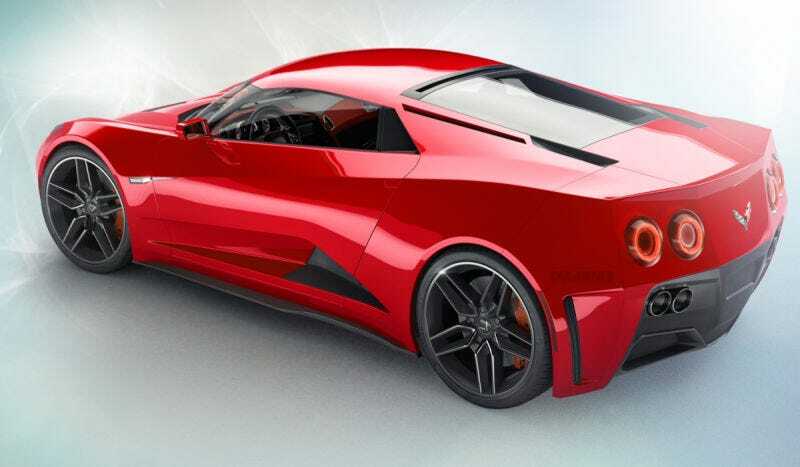 When volume production begins, presumably later in ’18, today’s C7 Corvette will expire, although there should be remaining stock for those who prefer the traditional powertrain layout used for more than six decades. The C7's final hurrah will occur at next year’s 2017 NAIAS, when a swan-song mega-power edition debuts, possibly wearing the illustrious ZR1 badge. A 2017 end date for the current (and objectively excellent) C7 Corvette would be much shorter than the lifespans of Corvettes past. And many GM cars. At the same time, strange mid-engined-looking Corvette prototypes have been spotted running around over the last year. Will it happen, finally? GM has flirted with the idea for a long time but the cars have never moved past the concept, prototype and bespoke race car phase. It’s also a tough idea to justify cost-wise. I’m at the point where I’ll believe it when I see it sitting in dealer lots. If you have any information about the mid-engined Corvette, please do email us at tips@jalopnik.com.